Is the mainstream media democratic? Quite a few of us “new media” observers have been saying all along that the msm doesn’t even bother to hide their biases, and their stories prove it. Then comes the official candidate endorsements. 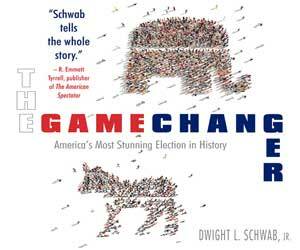 According to them, Obama leads in endorsements by daily newspapers – country wide by 194-82. They also give a state by state breakdown. Interesting analysis and worth the read. Never mind that from day one (or even before then, if you factor in that Obama has been campaigning for the Presidency since before he was even nominated – you know, back when he declared that he was not qualified to BE President!) the media sycophants have slathered all over Obama’s every utterance. Voters overwhelmingly believe that the media wants Barack Obama to win the presidential election. 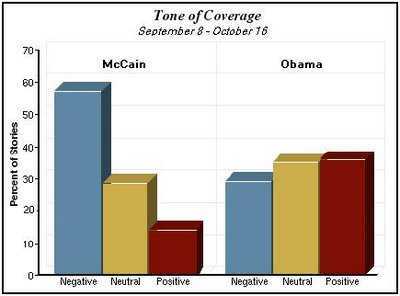 By a margin of 70% – 9%, Americans say most journalists want to see Obama, not John McCain, win on Nov. 4. Another 8% say journalists don’t favor either candidate, and 13% say they don’t know which candidate most reporters support. Research shows but will the voters buy it? I would like to believe that the “power of the press” is diminishing, given their obvious biases in shaping what should be important national debates. At a time when Canada’s msm ownership is in the hands of a few, and when the US media decides what IS the news, lately the overt antics of the media has to have damaged their credibility. Conrad Black, one time Canadian – or British depending on which year – media mogul, now languishes in a Florida jail, while at the same time US publications like People Magazine and US Weekly blatantly massage the message that is Obamanation. The big losers in all of this? The public, of course; especially people like your “average “Joe the plumber” who was treated to the intense scrutiny of the fourth estate because he dared to ask a simple question. Lost in all of this message manipulation? Intelligent inclusive debate on the ISSUES that should matter to every citizen: national security, the economy, health care, illegal immigration, education, and of course, whether both current candidates are actually even eligible by their birth to BE President of America. And let’s not forget a debate on the ethics of any or all of these urgent matters. It seems that in the selective “reporting,” not only do the msm prove how woefully ignorant they are in doing simple research; research that would prove, just for one example, that it is not all the current administration’s doing that the US is in such financial dire straits. Simple research would lead the msm to the incontrovertible truths that the demise of the economy started long ago within a Democratic administration. But then, for the msm to even want to bother with that, presume ethics that they appear to have deliberately chosen to throw out the window. The losers in the simple minded, lemming-like race of the msm over the Obama cliff? You guessed it: the voters. Instead of serious discussion about issues that will continue to shape America for the future, the msm dishes out gasping, breathless diatribes on what Michelle Obama is wearing, or how much Sarah Palin spent on clothes. Yes, that really makes a difference to crucial policy intentions. Today, the msm has apparently discarded all the tenets of what should be the cornerstone of the noble profession of journalism. As integrity, and the pursuit of unbiased truths seem to be ever more endangered, so too do the profits and credibility of the msm become a thing of the past. The new breed of media barons haven’t seemed to grasp that simple correlation – yet! The paper which obtains a reputation for publishing authentic news and only that which is fit to print… will steadily increase its influence. A newspaper should be the maximum of information and the minimum of comment.